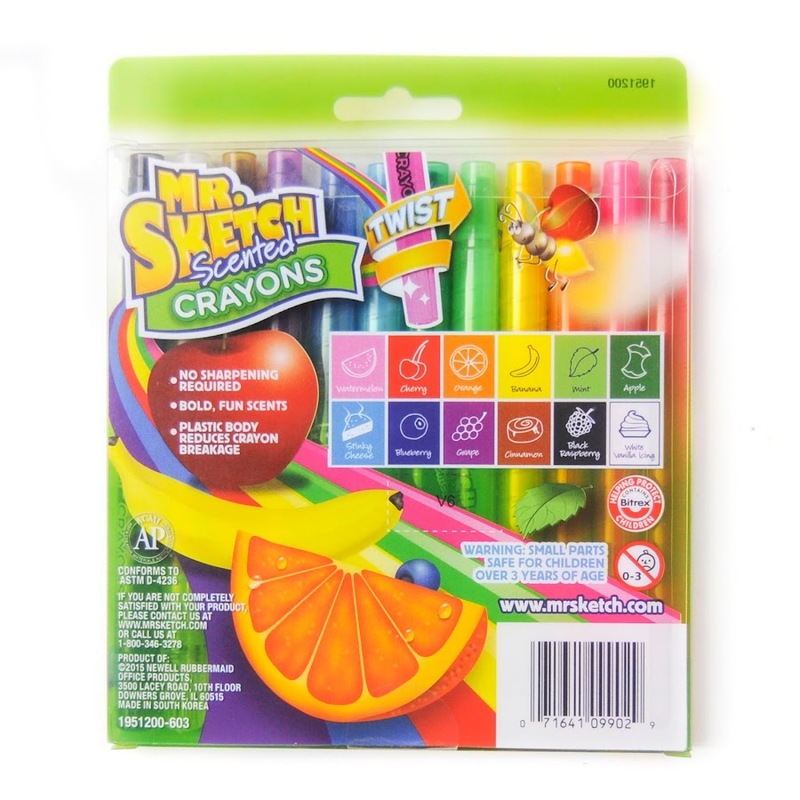 I absolutely love scented crayons. The Mr. Sketch Scented crayons did not disappoint. The crayon come in twistable form. The colors were super vibrant when applied to the paper and the smell was very distinct. 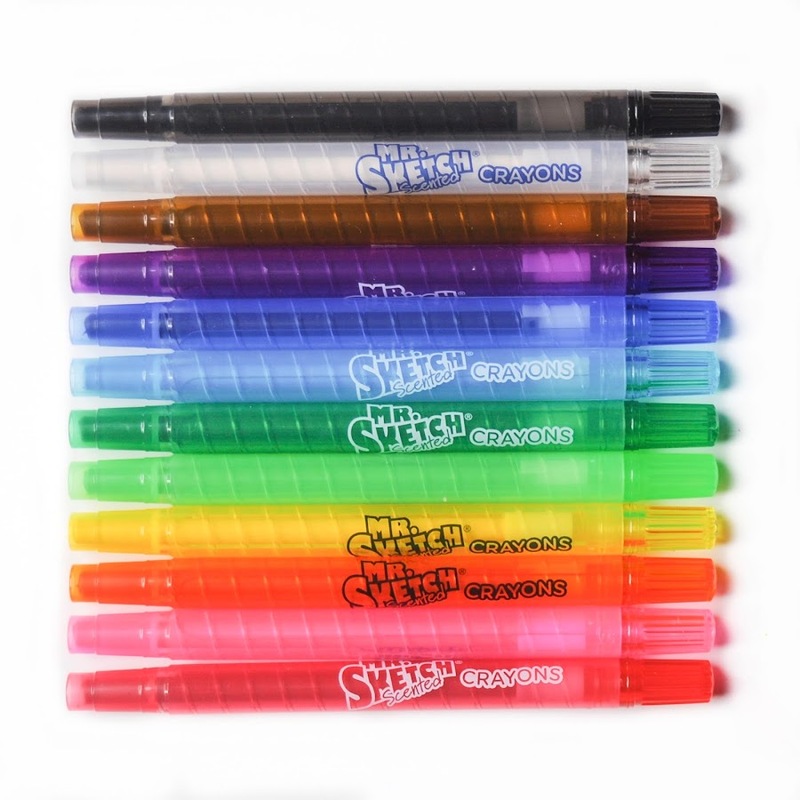 I do have to admit when there was more than 3 or 4 colors on the paper the scents started to combine and smell like a bowl full of fruit loops. I especially like the scents, black raspberry, mint and white vanilla icing. 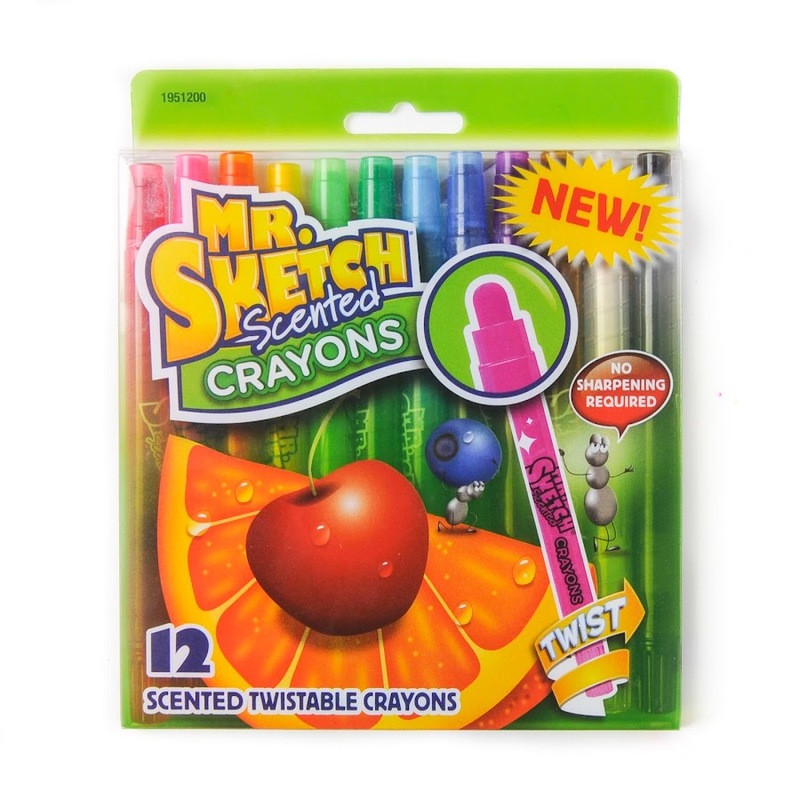 I even compared them to the Crayola Silly Scents, check it out here.